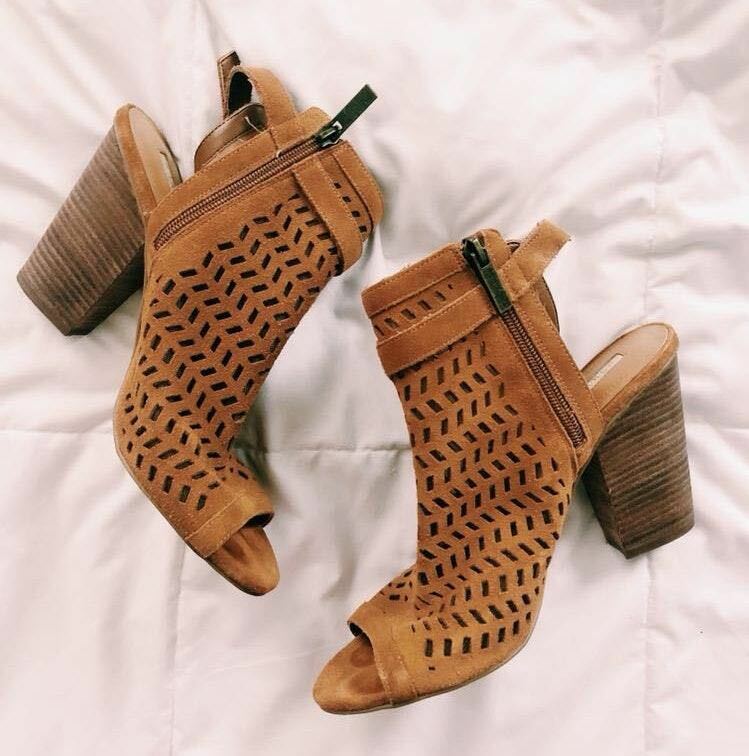 BCBG Tan Peep Toe Booties! Worn a few times, in perfect condition! Size 9.5!